Meg's Food! 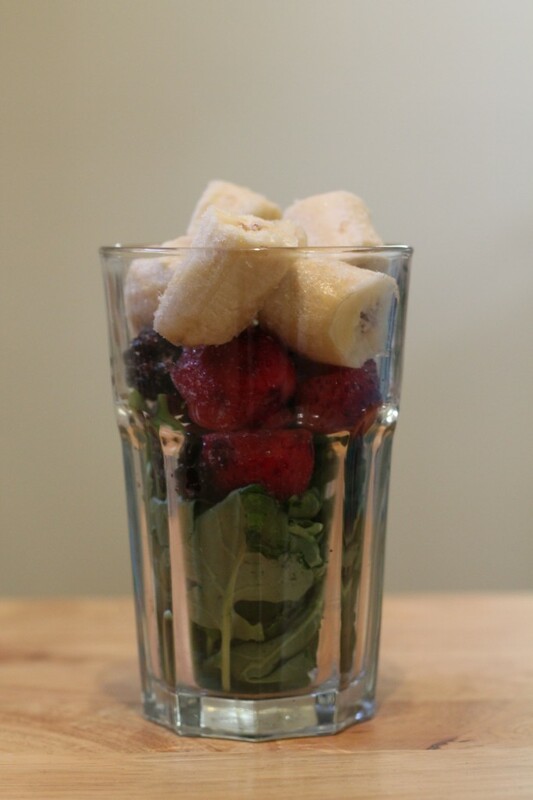 | Detox Smoothie - Meg's Food! Ok. It’s a new year. You can put down the shortbread, step away from the chocolate, and hit the reset button. 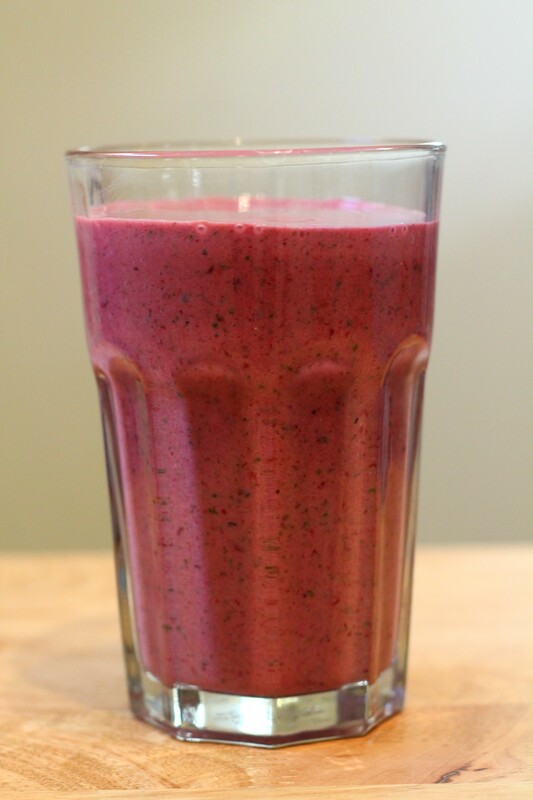 If you’ve been indulging as much as I have over the past couple of weeks, you need this smoothie! I always love a good green smoothie – I love that you can throw some kale or baby spinach in and all you taste is fruit- but sometimes, you don’t want to drink something green. That’s why this smoothie is so awesome. It has kale in it, but all you see is this beautiful, rich red colour. 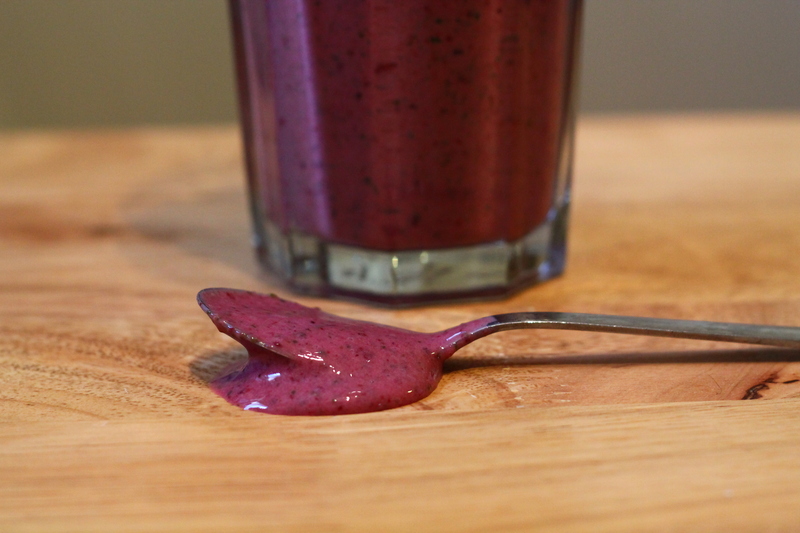 It gets that lovely colour from frozen mixed berries and a healthy splash of pomegranate juice. The pomegranate gives it a nice, tart flavour, and it’s packed with good for you ingredients – yogurt for protein, lots of fresh fruit, leafy greens…your body will thank you when you sip this smoothie! This smoothie is the perfect way to start your day the right way, and also makes a refreshing snack. Throw all the ingredients in a blender and whiz until smooth. Serve immediately. This smoothie throws a bunch of superfoods at you, along with protein, fibre, antioxidants, vitamin C….and it’s so tart and tasty! The perfect way to start off the new year! This entry was posted in Recipes, Sip and tagged berries, detox, kale, pomegranate juice, smoothie, yogurt. Bookmark the permalink.